In late 2008 at the peak of the recession, Prime Fabrication expanded its interest in custom architectural jobs from residential to include commercial venues as well. This was a simple and successful transition. Since then, we have completed many high end projects in the L.A. metro area, including custom work for the Andaz West Hollywood Hotel, Topshop and Dolce & Gabbana. 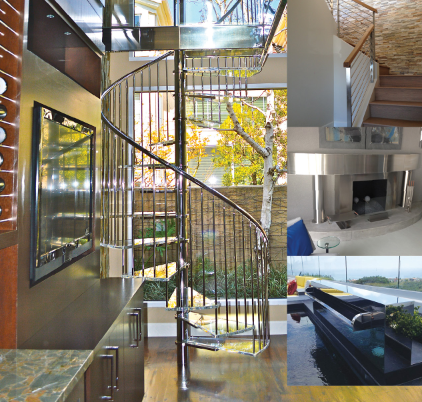 Our architectural department specializes in brushed and polished stainless handrails, guardrails and spiral staircases.